Distinct forms in tune with purist elegance. 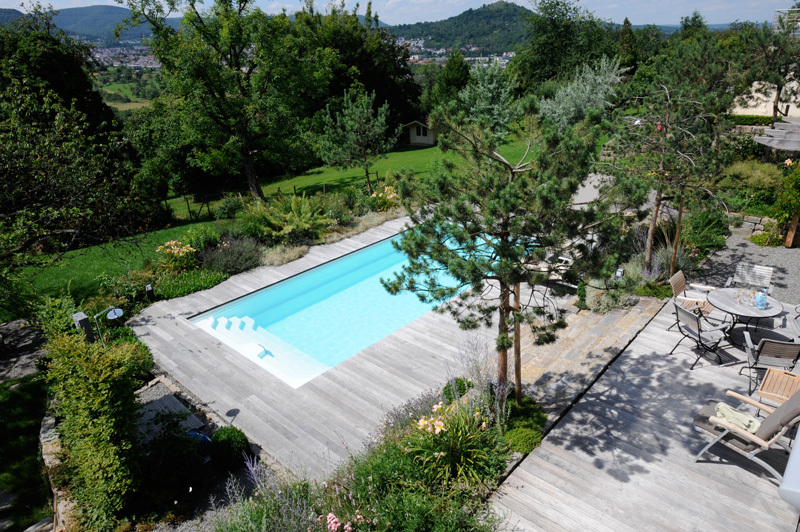 The ambiance around this pool made of fair-faced concrete fits into the harmonious simplicity. The pool’s solar covering is childproof and invisible when it is open. 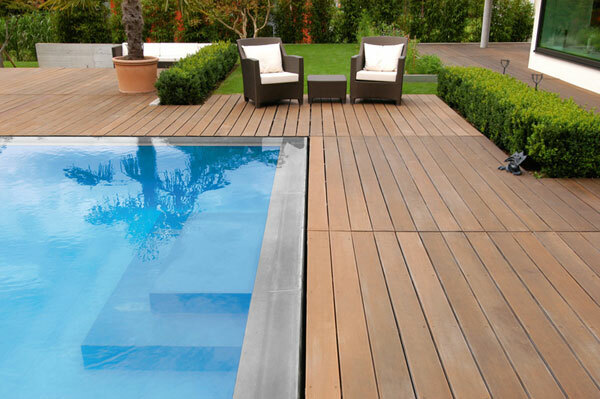 Small details such as the sophisticated furniture or the square lawns create a modern, harmonious pool design. Design and technology – made by Jd.